The internship program is a required course for students who are completing Bachelor of Business Administration (BBA) from the Department of Business Administration of Stamford University Bangladesh. It is a three credit hour program with duration of three months. Students who have completed all the required courses are eligible for this program. In the Internship Program I was attached to the AB Bank of Bangladesh Limited for three months. During this period I have learned about Bank and about die investment facilities that arc providing by the Bank. Banker or Bank was defined as a person who carried on business of receiving money, collecting of drafts, honoring cheque drawn upon it. According to modem concept, banking is a business, which deals with borrowings, lending and remittances of fund as well as much ancillary business conducted thereto. The main functions of a bank borrowing money from the public by accepting deposits and lending to them for the development of trade, industry and agriculture. Modem bank play an important part in promoting economic development of a country. Banks provide many funds for executing various programs underway in the process of economic development. They collect saving from large masses of people scattered throughout the country, which in the absence of banks would have the remained idle and unproductive. A commercial bank is owned by shareholders that accepts deposits, makes commercial and industrial loans and provides other banking services, In other words, commercial bank is a financial institution that provides business loans, credit cards, saving money in different saving schemes etc. and it is the largest financial intermediary directly involved in the financing of real estate. There are two main objectives behind this report. The Primary Objective of the study is to fulfill the partial requirement of the BBA program. In the final semester of our BBA program one Internship report is to be submitted, which is bearing some credit of our BBA program. To get a broader overview of General Banking. To obtain practical experience about banking activities especially investment policy by involving such type of program. To build professional carrier in the banking sector. To achieve the set of objectives of the study both primary data and secondary data have been used. Primary data have been collected with the help of a questionnaire through field survey. ABBL were interviewed for the purpose. The status of these Bankers are Asst. VP or above. Secondary data have been collected from different publications and annual reports of AB Bank and internet during February 2010‑June 2010. The main Limitation of this report is that the officials did not disclose all data and information for the reason of confidentiality. Many personnel of ABBL were not co-operative to provide useful & relevant information. AB Bank is known as one of leading bank of the country since its commencement 27 years ago. It continues to remain updated with the latest products and services, considering consumer and client perspectives. AB Bank has thus been able to keep their consumer’andclient’s trust while upholding their reliability, across time. During the last 27 years, AB Bank Limited has opened 74 Branches in different Business Centers of the country, one foreign Branch in Mumbai, India and also established a wholly owned Subsidiary Finance Company in Hong Kong in the name of AB International Finance Limited. To facilitate cross border trade and payment related services, the Bank has correspondent relationship with over 220 international banks of repute across 58 countries of the World. AB Bank dreams of better Bangladesh, where arts and letters, sports and athletics, music and entertainment, science and education, health and hygiene, clean and pollution free environment and above all a society based on morality and ethics make all our lives worth living. ABBL’s essence and ethos rest on a cosmos of creativity and the marvel-magic of a charmed life that abounds with spirit of life and adventures that contributes towards human development. AB Bank engineers enterprise and creativity in business and industry with a commitment to social responsibility. “Profits alone” do not hold a central focus in the Bank’s operation; because “man does not live by bread and butter alone”. Foreign Exchange ( Export & Import). From above pie chart we see that AB Bank sectorwise limite of LDOs position as a persentage baxis. AB Bank has invested their loan in trading 25%, in agriculture 11%, in manufacturing 40%, in services 11%, in contractual work s 3%, in energy & mining 2& and others sector is 1%. Here we cae see that AB Bank their secured loan has invested very easy . From above pie chart we see that AB Bank sectorwise of LDOs position as a persentage baxis. AB Bank has invested their loan in trading 26%, in agriculture 13%, in manufacturing 36%, in services 8%, in contractual work s 3%, in energy & mining 2& and others sector is 1%. Here we cae see that AB Bank their secured loan has invested very easy . AB Bank Foundation (ABBF) is one of the country’s leading securities broker houses of Dhaka Stock Exchange (member # 201) and Chittagong Stock Exchange (member # 101). ABBF has started its operation by soft launching on 28th August 2006. Initially, we have started our operation by giving service to client of AB Bank Merchant Banking wing. We have already started our operation in full swing in our corporate head office and Chittagong. In near future, we will start our Mohakhali and Agrabad branch operation. AB Bank’s subsidiary, AB Bank Foundation, which has corporate memberships on the Dhaka and Chittagong Stock Exchanges, can act as brokers on behalf of local and foreign individual and institutional client to trade in the local capital market. AB Bank’s Sales & Trading Department will also support brokerage service for offloading shares through direct listing. a) BO (Beneficial Owner) accounts opening and maintenance. To extend our Merchant Banking services across the country, MBW has already launched its operation in Agrabad (Chittagong). We are going to open 3 new service networks in Mohakhali (Dhaka), Uttara (Dhaka) and Sylhet soon. Asset Management / Mutual Fund We are planning to launch and manage Mutual Fund in future. In the present context of banking business in the world, Card is the future of any bank. Electronic payment system is now ruling the world and some days from now cash transactions system will turn into a history found only in the text book. AB Bank Limited is one of the leading first generation private sector commercial banks with Branch Network all over the country. The Bank started issuing VISA Credit Cards from the end of year 2004 as a principal member of VISA International. ‘Card Conversion & Balance Transfer Plan’ to AB Bank VISA Credit Card will be extended towards all local Credit Cardholders of the market, provided that their ‘other banks’ credit card is in ‘regular’ state, not in ‘overdue’ state. Cardholders will repay the approved transferred amounts to AB Bank Credit Card Account in monthly installments stated in their monthly statements. Other bank credit cardholders having regular payment history will also be allowed to apply for this facility along with their new AB Bank Credit Card application form. You can convert your other bank card to AB Bank Card and get interest facility @ 19.95% on your outstanding. ‘EasyBuy‘ Installment Plan to AB Bank VISA Credit Card will be extended towards all AB Bank Visa Credit Cardholders. Cardholders can convert any retail purchase done using AB Bank credit card into an installment scheme where they can pay back the amount at rate of interest of 19.95% per annum over a tenor ranging from 6 months to 48 months. Under the Easy buy program, cardholder can choose own installment plan, ranging from 6 to 48 months. No cash advance fee for cash withdrawal from AB Bank ATM Booths & Tk.10 only per cash withdrawal will be charged from other Q Cash ATM booths. Market rate is Tk. 125 per cash withdrawal. Hassle free monthly payment from AB Bank Account holders. AB Bank VISA card gives you the facility to withdraw up to Tk. 60,000 or 50% of your credit limit (whichever is lower) of the credit limit from any ATM with Visa logo. Lot more features are in the pipeline to add more value to satisfy AB Bank customers. Direct debits for locker rentals from your account rid you of the hassles in writing out cheques. In practice of ABBL, a minimum balance of TK.5000 has to be maintained. Interest is paid on this account. ABBL offers a reasonable rate of interest (5%) for SB A/C on day basis. Generally, banks require a 7-day prior notice if the total amount of one or more withdrawals on any date exceeds 25% of the balance of the account unless is given. But in ABBL there is no restriction about drawing money from savings account. Any time holders may draw money of any amount without prior notice. Very limited service charge (Tk.200 per year) as it is an interest bearing account. Under this section, ABBL Bank Assistant Officer opens different types of accounts on the request of clients. The procedure of opening account is given is given below. Step 2 # The form is filled up by the applicant himself / herself. # Introducer’s signature and accounts number – verified by legal officer. If Second officer/Manager satisfies with customer information he/she gives authorization. After fulfilling the above formalities, ABBL Bank provides the customer pay-in-slip book that customer deposit their initial deposit. Checkbook: In online banking it is difficult to issue cheque book immediately that is why it takes two or three days. ATM Card: An account holder gets a Debit card after opening account. It takes two or three weeks and sends him by mail. In the name of individual/ The client has to fill up an account opening form. Terms and conditions are printed on the back of the form. The form contains the declaration clause, special instructions etc. Copy of Memorandum and Articles of Association duly certified by the Register of Joint Stock Companies. Certified copy of Bylaws & Regulations/ Constitution. A minor cannot open an account in his own name due to the incapacity to enter into a contract. He can open an account in ABBL in joint name of another person who will be guardian of him. SND should be kept for at least thirty days to get interest. The interest offered for SND is less than that of savings deposit. In practice, ABBL offers 5.00% rate of interest (half yearly compounding) for SND account. It may increase depending on the fund. Volume of SND A/C is generally high. In ABBL, various big companies, organizations, Government Departments keep money in SND accounts. In ABBL, fixed deposit account is opened in customer choice time. In case of a deposit in joint name, ABBL also takes the instructions regarding payment of money on maturity of the deposit. It is usually paid on maturity of the fixed deposit. ABBL calculates interest at each maturity date and provision is made on that “Miscellaneous creditor expenditure payable accounts” is debited for the accrued interest. a. To facilitate withdrawals and payment to third parties by the customer, ABBL provides cheque book to the customer. CD account cheque book contains 20 and 50 leafs, while SB account cheque book has 20 leafs. Per cheque Charge is Tk.69. Bank maintains a separate register and also record in online in this regard. TK. 115/- each for twice a year is debited from customer’s CD account for rendering service to him. Again TK. 115/- each is debited from customers account for providing him the solvency certificate/ Bank Statement/ Bank Certificate. Service charge for Savings A/C is TK.400.00 per year. If the balance is below the minimum amount (Tk.500) then Tk.200.00 is charge additionally. TK. 50/- is charged from customer as penalty if his cheque is dishonored. In ABBL, interest-compounding period varies with products. Interest on SND accounts is compounded yearly. Interest of SND is credited after each year. If ABBL finds that the account is inoperative for a long duration. If Garnishee Order is issued by the court on ABBL. To close the account, the cheque book is to be returned to the bank. ABBL takes all the charges by debiting the account and the remaining balance is then paid to the customer. Necessary entries are given to the account closing register and computer. Account holder may transfer his account from one branch to another branch. For this he/she must apply to the manager of the branch where he is maintaining account. Then manager of the old branch sends a request letter to the new branch manager where the account holder wants to transfer his account. With his request he sends original copy of account opening application and specimen Signature Card and photocopy of application for transferring the account with the balance remained account. But now-a-days customer need not transfer their account from one branch to another branch. They can make transaction any ABBL branch with truly on-line facility. Pay order is an instrument, which is used to remit money within a city through banking channel. The instruments are generally safe as most of them are crossed. It is current liability on the part of bank, which implies that, money received in this purpose has to be paid to the payees collecting bank on placement of the instrument. Bills Payable (P.O) A/C ……………………….Cr. Income A/C Commission on Remittance…Cr. By account Client’s A/C ……………………………….…….. Dr.
Bills Payable (P.O) A/C ……………..………..Cr. Income A/C Commission on Remittance ..……..Cr. By transfer Head office \ other department’s client A\C ..…..Dr.
Bills Payable (P.O) A/C …………………….………..Dr.
Income A/C Commission on Remittance ……….Cr. From the above accounting treatments it is clear that the money, which is received by the bank from selling the instrument, is kept under bills payable account. It is current liability on the part of bank, which implies that, money received in this purpose has to be paid to the payees collecting bank on placement of the instrument. But in the local banking arena ABBL offers free of cost for issuing of Payment Order for it’s account holders. Purchaser must be an A/c holder of ABBL. Deposit money with P.O. application form. Payee’s name, date, P.O. No. Etc. After it has been scrutinized & approved by higher authority, the instrument is delivered to customer. Signature of customer is taken in the counterpart. Bills payable A\C …………………………………… Dr.
Balance with Bangladesh Bank ………………… Cr. Thus bank’s liability is settled by debiting bills payable. But before giving payment it should be examined whether endorsement was given by the collecting bank or not. If not then the instrument is dishonored marking “Endorsement required”. Bills Payable (P.0.) A\C ……………………………………………… Dr.
A customer of ABBL who is the payee of a P.O. will deposit it for collection. The instrument is given to the clearing that will place it to the issuing bank in the clearinghouse. Before placement, ABBL as a collecting bank gives necessary endorsement. Demand Draft is a very much popular instrument for remitting money from one corner of a country to another. The instrument is basically used for transfer and payment. Difference between pay order and demand draft is in terms of place only. P.O. is used for remitting money within the city whereas DD is used for within the country. DD too, constitutes current liability on the part of a bank. At ABBL DD is not sold to people other than its customer. But with the introduction of ONLINE banking the importance is DD has reduced. Now the customers can draw the money from any of its branch. Fund transfer is free of cost for all accounts holder. HO/A/C Drawn on Branch …………… Cr. Income A/C Commission ……………… Cr. Bills payable (D.D.) A/C ………….….….Dr. When finally the instrument arrives through clearing, the cancellation mark is given on the register. In case where I.B.C.A. has not yet received from the issuing bank but where instrument has been placed, bank cannot hang a party for the I.B.C.A. In this case payment is given to the party from the suspense account. Later on it is adjusted after receiving the fund from the issuing bank. H.O. A/C Drawn on Branch ………………..…… Dr.
Customers do pay and receives bill from their counter party as a result of transaction. ABBL collects the bills on behalf of their customers. Collection mechanisms in ABBL are clearing, Outward Bill for Collection (OBC), Inward Bills for Collection. When the bill is within the range of the clearinghouse it is sent for collection through clearing section. As far as safety is concerned customers get crossed cheque for the transaction Crossed check can’t be encashment from the counter; rather it has to be collected through banking channel i.e., clearing. If a client of ABBL received a check of another bank that is located within the clearing range and deposit the instrument in his account at ABBL, then ABBL will collect the money through clearing house. After received the check ABBL will credit client account. However, the amount is credited in the customer a/c but he will not get the money until the check is honored. Later on all the instruments of ABBL which were claimed by other banks are sorted and delivered to respective branches. However, the Gulshan branch clears its checks as well as the checks of other branches. Because, no other branch is allowed to represent directly. The other branches send the instruments Gulshan branch along with IBDA. acts as an agent in this case. HO A/C- Gulshan branch ——————————————–Dr. if the instrument is honored, Gulshan branch gives the following treatment Balance with B.B. ————————————Dr. HO A/C concerned branch ————————————Dr. If the cheque is dishonored, ABBL sends (with cheque return memo) to the customer stating the reason. If the cheque is dishonored due to insufficiency of funds, ABBL charges TK.50/= as penalty. If the bill is forwarded to branch they will collect it through IBC procedure. Collecting branch will receive an I.B.C.A. from that particular agent branch. In this case commission will be charged by the collecting branch, not the agent branch and the drawers bank will send a DD to the collecting branch. Here both the banks will charge for collection from the customer. It should be scrutinized that D.D. is containing the OBC number. (0.15% commission of the instrument value, 15% VAT and Tk. 20/- as postage charge in deducted. The minimum amount is Tk.43.00 and maximum amount is Tk.3000.00). Asset head Bills receivable being bills for collection as per contra. Customer’s liability A/C ………………. Dr.
Banker’s liability A/C …………………….. Cr. Banker’s liability A/C ………………. Dr. Customer liabilities A/C ………… Cr. Bank has to serve its customer by any means. But some customers are valued as far as deposit is concerned. So banks give them some benefits depending on the situation. Clients get bill that is as per agreement collected by the bank. This collection procedure takes usually 2-3 days. But in many cases valued clients need money urgently. In this situation bank purchase the bill of the client paying him money then the then. Later on bank collects the bill and adjust accordingly. This is kind of credit which is offered to the valued clients only. However no credit line facility is needed for them. Commission is charged from them at a higher rate, which is equivalent to lending rate of 14-15% for the collection period only. Step 2 Verification of the followings by the cash Officer in online. Vault Register It keeps account of cash balance in vault in the bank. Cash Receipt Register Cash receipt in whole of the day is recorded here. Cash Payment Register Cash payments are made in a day are entered here. Rough Vault –Register Cash calculation for final entry in vault register is done here, as any error and correction here is not acceptable. In book 1 and book 5, notes and currency are recorded by mentioning their denominations and number of each denomination. Some set of these books is maintained separately for both local and foreign currency. a) An open cheque, which can be presented for payment by the holder at the counter of the drawer’s bank. b) A crossed cheque, which can be paid only through a collecting banker. AB Bank has started Issuance of new cheque book from June 01, 2009 as per Bangladesh Bank guideline. You can conveniently collect new cheque book from your Account Opening Officer of your AB Bank branch. As per Bangladesh Bank instruction we have implemented MICR coded cheque book from June 6, 2009, which will be customized by the Bank. MICR is a process of printing cheques using magnetic ink and special fonts to create machine-readable information. It is the first step towards electronic cheque clearing process. In this regard, we would request you to collect the new cheque book on or before July 31, 2009. Bangladesh Bank Clearing House will not honor existing chequebook leaves after July 31, 2009. However, you may continue to use your existing chequebooks to withdraw cash over the counter or to transfer funds to another customer of AB Bank Limited at any of our branches. Receiving Chaque, instrument, refund warrant etc. 1. After receiving customer’s application the officer verifies the balance of the A/C. 2. He then calculates interest and other charges accumulated on the A/C. 3. If it bears a credit balance, the officer writes advice voucher. He gives necessary accounting entries post to accounts section. 4. The balance is returned to the customer. And lastly the A/C is closed. If any client wants to take bank statement then they have to pay some charge to the bank.In this case bank keeps Tk. 50 for every single page of the bank statement. If any client wants to take bank solvency certificate then bank keep Tk. 150 as a charge of bank solvency certificate and it is deducted from the client’s account. 03) Full cover not received. 05) Payment stopped by the drawer. 06) Payee’s endorsement irregular / illegible / required. 07) Drawer’s signature differ / required. 08) Alteration in date / figures / words require drawer’s full signature. 09) Cheque is post dated / out of date / mutilated. 10) Amount in word and in figure differs. 11) Crossed cheque must be presented through a bank. 12) Clearing stamp required/requires cancellation. 13) Collecting bank’s discharge irregular / required. 14) Cheque not drawn on us. 15) Payee’s signature require on revenue stamp. 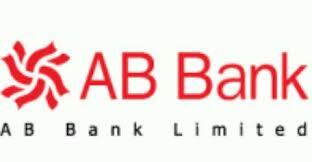 AB Bank is one of the most profitable organization in Bangladesh. In case of banking business deposit section is the most vital part of a bank. Everyday many people come to bank and they open a account that’s why AB Bank’s deposit increases day by day. If see the last five years deposits of AB Bank then we can easily clarify the AB Bank’s deposit position then other banking organization. The following table shows the deposit situation from 2005 to 2009 of AB Bank Ltd. The above shows the deposit volume of AB Bank. In the year of 2005 deposit was Tk. 28,439 million. In the of 2006 the deposit value raised to Tk. 41,554 million, in 2007 deposit was Tk. 48,731 million, in 2008 deposit was Tk. 56,986 million, in 2009 deposit was Tk. 60,918 million. Now if we plot this amount in a diagram then we can see the original deposit situation of AB Bank. The above diagram shows the deposit situation of AB Bank. Here we can see that the deposit value continuously increases from 2005 to 2009. For increasing the deposit volume of AB Bank, they always set a plan that they will provide better services to their client. So we hope that in future will collect more deposit and they will keep hold their good position. Short time requirements of in loan application processing and approval. Authority granted to the branch manager to avail excess limit to a client in sudden need. A very well organized Credit Unit. Correspondence with most of the countries of the world. Clearly defined measure in dealing with foreign exchange transaction. Lack of strong recovery team. More dependency rests on government sources for deposit mobilization. The techniques specified for credit appraisal is not sufficient. Bank’s attractiveness and goodwill in the current market. Collection of huge foreign remittance from expatriate Bangladeshis. Bank’s business expansion to prospective remote areas. Government positive attitude towards low classification. Govt. regulations over banking industry. Comparison among three local private banks EBL, ABBL, and PBL examines followed an assessment based on the CAMEL method of international bank ratings, a reputed US supervisory rating system supervised by Bangladesh Bank under the regulation and guideline. The ‘A-Class’ CAMELS rating has been awarded to Commercial Bank Bangladesh after assessing the six strategic factors covered by the abbreviation, Capital Adequacy, Asset Quality, Management Quality, Earnings, Liquidity and Sensitivity to market risks. In all, 48 banks in Bangladesh were assessed till September 2008 for this latest rating. In the CAMELS ratings, each bank is assigned a score of one (A) to five (E) for each factor. “If a bank has an average score less than two, it is considered to be high-quality institution, while banks with scores greater than three are considered to be less-than-satisfactory establishments. This year, six other banks operating in Bangladesh were rated Strong or A-Class. The rating is based on financial statements of the bank and on-site examinations by The Bangladesh Bank, the Central Bank of Bangladesh. “The CAMELS rating system helps the supervisory authorities identify banks that are in need of attention”. Last year, the Commercial Bank’s operations in Bangladesh was awarded a rating of AA+ (Double A plus) for long term credit, an upgrade from the previous rating of AA, by Credit Rating Information and Services Ltd.
ABBL used to focus its attention on commercial sector for large and medium scale industrialization but the recent concentration on small and medium enterprise (SME) got the new momentum as lending spheres. Though the SME is the focusing attention, AB Bank’s contributions on agriculture sector are insignificant. In industrial sector, (Wholesaler Restaurant, Retailers} AB Bank prefers giving loans to large and medium scale industries, which has a high turnover. To these customers, they give short-term working capital machinery, generator, lift, boiler, commercial vehicle, office equipment. Export, import, financing, syndication services also remarkable. They avoid sectors like small & cottage industry and agriculture. Majority portion of their loans goes to consumer loans. They give loans to industrial consumers to buy all types of durable. The ABBL loans and advances are dominated by financing on short term credit programs, mainly to the trade commerce and processing units rather in any manufacturing unit. ABBL has also increased its lending export finance and working capital support. Classified loan and advances has down ward trend, which represents excellent performance of credit administration and monitoring review. ABBL properly follow the credit guideline provided by Bangladesh Bank. Specially for controlling the branch activities ABBL delegates disbursement to the credit administration division. In the changing scenario, each bank should have their own credit vision and accordingly restructure their credit management policies relating to screening monitoring and recovery. Lending is one of the main function of a banker. But lending is a risky AB Bank have different variations such as credit grading and risk grading system. While gathering information during the face to face interaction between the clients and researcher, this involves a number of questions. Among them, most of the customers have positive point of view towards the credit management of AB Bank. The employee must take time to hear the problems of the customers. It will help them to deliver the right service and quick solution of respective problems. AB Bank can allow the clients to repay their installment at any branches he / she finds convenient. Brochures always show he features, benefits, costs and characteristics of the products. There are many customers who do not have any lending facility but want to get it. Many of them do not want to spend time on discussing products with the lending officer. If there were available brochures of all types of customers advances, customer could pick up any according to their choice and evaluate the products offering by reading and analyzing the products. Some of them might have been turned into customers from their standing of prospective. Banking industry in Bangladesh is now on the right track. The banks are contributing much than the previous years for the growth and development of the country. Banking industry is much organized because of strong vigilance and supervision of Bangladesh Bank. In the industry, AB Bank is one of the pioneers in many criteria. AB Bank is committed towards the excellence in the service with efficiency, accuracy and proficiency. Like of most of the commercial banks, general banking & foreign exchange department is one of the most important departments of AB Bank. Despite problems and weaknesses, it is driving the bank from the front. With an easy to understand operating guidelines, transparent operating procedure and a tem of highly knowledgeable and proficient personnel, this department is expending and excelling itself day by day. To the gateway to professional life an experience at AB Bank as an intern was a privilege for me. AB Bank does offer a real practical orientation to the new comers with typical corporate culture . Rather, it offers people like us an environment where the appetite for learning just gets intense. This three months internship orientation with AB Bank undoubtedly will help me a lot to understand and cope with any typical corporate culture. Overall, AB Bank’s image stands superb in the eyes of the clients. This means that the AB Bank Limited is well-placed to further increase their presence in the credit marker and increase their profits in the future. As AB Bank is performing well in traditional banking .I wish and hope that in future AB Bank will be number one Bank in Bangladesh. AB Bank Website research for the report. Helping by other reports and conversation with other respectable persons.